It might surprise you, but I started this little blog as a way to stay connected to the adult world when I had my first kid. I was sure I wouldn't write anything about kids, nothing... Clearly that is not how it turned out! Shelia Walsh is one of those Christian women who can really speak to other women. Maybe it has to do with her amazing accent, but when she speaks, ears perk up and minds become engaged. 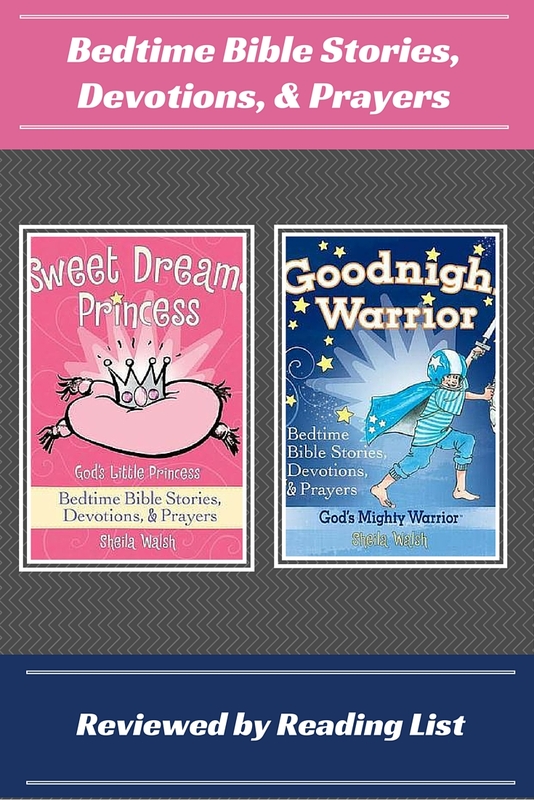 So it only makes sense that she would have put together some amazing kids devotionals. 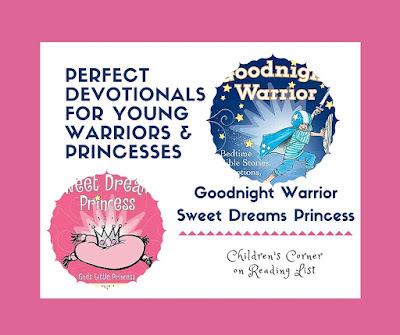 Goodnight Warrior and Sweet Dreams Princess are wonderful bedtime devotionals based on scripture. 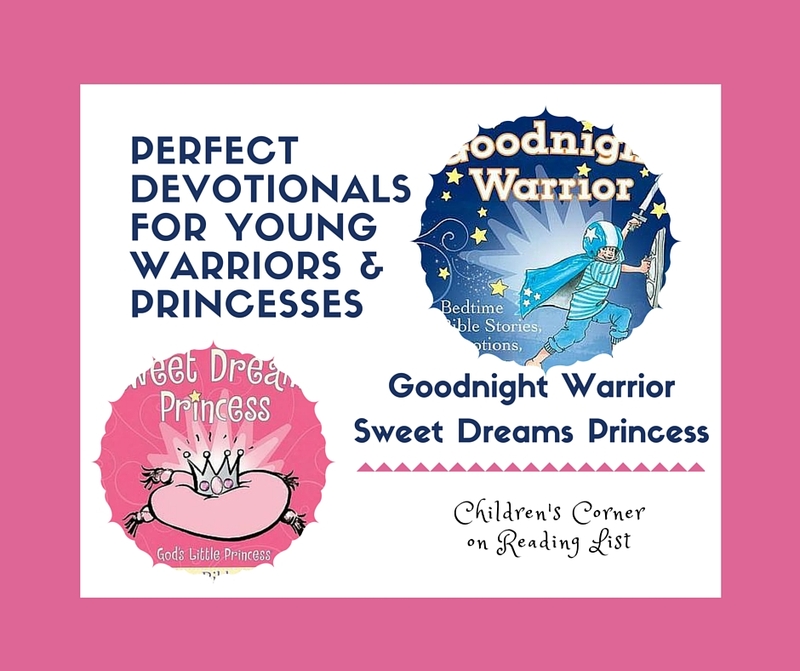 The idea of the book is to have small bedtime devotionals based on scripture on a nightly basis - you could easily use it at both nap and bedtime, or just one. The writing is simple and cute. Most importantly, it speaks right to your little warrior, and not at him. Granted some of the devotionals are still a little heavy - I mean we are talking about the Bible here - in those moments, parents can easily simplify the points to be understandable. Each section is four pages long, two of them are devoted to a simple story from the Bible. Although not verbatim, it is close. The next two pages make up the devotion. Usually, the devotion has some questions about the story that you can discuss with your little warrior or princess. Finally, it ends with some form of prayer. A section can easily be read through in five minutes, so with some discussion in the devotion area, parents can easily get through one in about fifteen minutes, max. One of the main reasons why I like these books is that there are some less common stories in here. Sure there is the creation story, Adam and Eve, Jesus' birth, death, resurrection. However, there are also stories like Rebekah's and Esau & Jacob, which tend not to make the cut in the more common children's story Bibles. Although I doubt my kids would second this, my favorite was "A Great Prayer" based on Psalm 23:1-6. The verses are paraphrased in a more conversational, or prayer like format. The devotion that went with it was very nice. 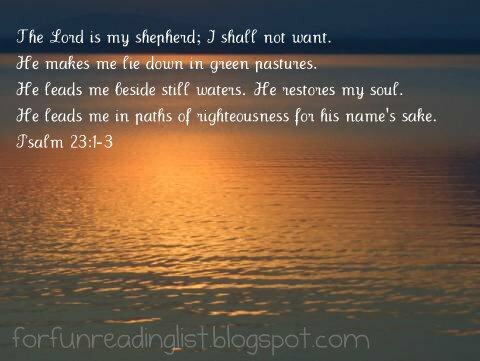 It discussed how David was a shepherd before becoming king and how much God cares for us. My son showed some interest in it because we have been talking about sheep and shepherds, which meant he didn't mind spending a little more time talking about it! The devotion on this one ended with a prayer of praise - really great. Something to keep in mind is that the two books are fairly identical as far as content. The only real difference is that one is written to be read to a little boy, and one to a little girl - the devotions, topics, and stories, are the same. So if you want to save money, no need to purchase both, as really we are all warriors. Kasey shares 3 ways she has incorporated Bible time with her toddlers. Jenn has put together a wonderful list of 10 Bible verses every toddler and preschooler should know. Katherine has a wonderfully encouraging article about how her family has incorporated Bible devotions into their daily routine. Tara put together a wonderful list of resources that will help you engage young children in Bible verses and reading. Luke & Trisha have put together a great article on the importance of memorization for younger kids if you are looking for some motivation to get started on your own family devotion time. Do you make it a priority to do some kind of Bible time with your toddlers and preschoolers? What tips do you have for other parents who might be considering doing devotional time with their young kids? Check out where I am sharing this post!